What happens with technology advances and a downed cop is brought back to life? RoboCop answers that very question. Officer Murphy (Peter Weller) is a good cop taken down in his prime by a gang of criminals. To the world, and his family, Officer Murphy died. Omni Consumer Products takes his body and morphs it with robotic counterparts. 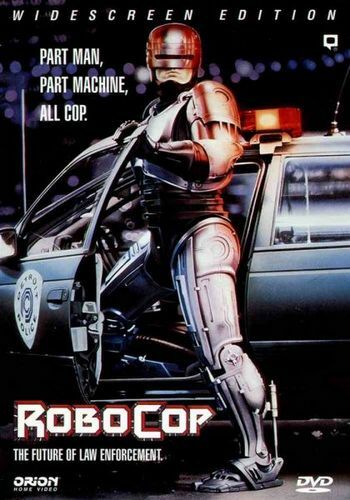 Initially their "Robo Cop" is a hit. However as time passes tidbits of information spark memories leading to an awakening of Officer Murphy's mind inside his robotic shell. This eventually leads to his coming to terms with the events of his death, what he is now and going on a personal mission of vengeance to those who brought him to this fate. In this pursuit he stumbles upon a deeper conspiracy within OCP.